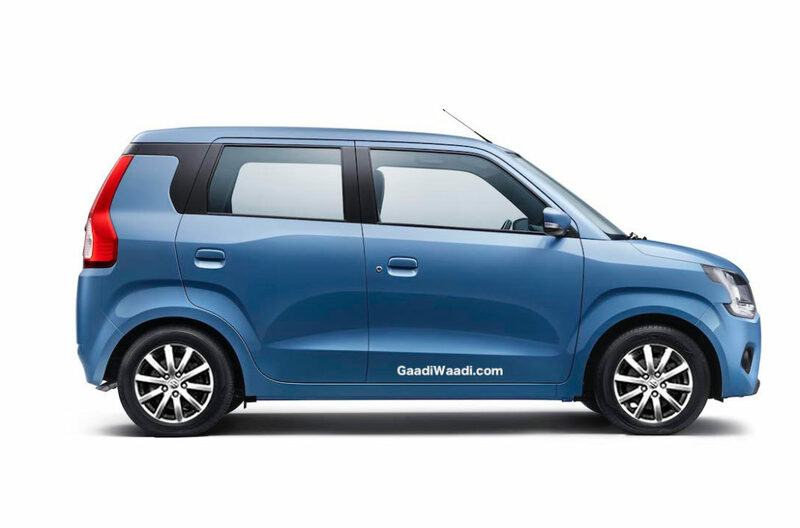 Maruti Suzuki Wagon R is one of the most popular hatchbacks in the country and the company has sold over 22 lakh units of Wagon R. The third generation model was officially launched in India earlier this week at the starting price of Rs. 4.19 Lakh (Ex-Showroom). The new Wagon R comes with lots of changes and we are featuring the top 5 of them in this article. Maruti Suzuki has given the advanced fifth-generation Heartect platform for the Wagon R and this same platform is already used in Swift, Dzire and Baleno. The new platform has helped the Wagon R to reduce weight compared to its predecessor but it is more rigid as the hatchback needed to meet the upcoming safety rules. The new Wagon R retains the old 1.0 L K10 engine along with a new 1.2 L K series engine and this engine is used in many other cars from Maruti’s portfolio. 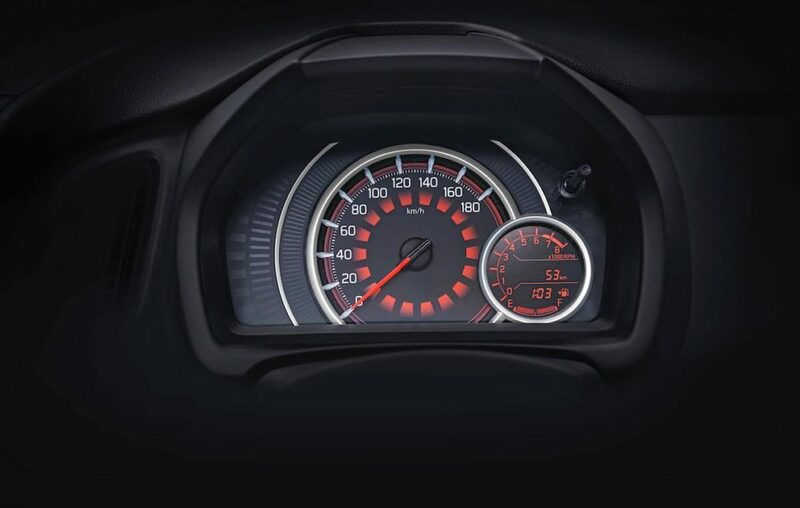 The 1.0 L engine produces 67 PS at 5,500 rpm and 90 Nm of torque at 3,500 rpm. The 1.2 L engine puts out 82 PS at 6,000 rpm and 113 Nm at 4,200 rpm. Both these engines are mated to a 5-speed manual and AMT gearbox options. The 1.0 L engine returns 22.5 Km/l and 21.5 Km/l for the 1.2 L unit. Maruti Suzuki has finally introduced the Zxi variant with Wagon R and it is available only with the 1.2 L engine. Both manual and AMT options are available in the top-spec trim and it is loaded with lots of features like 7-inch touchscreen infotainment system, Bluetooth, 2 speakers, USB and Aux-In, steering mounted controls, dual airbags, ABS with EBD, rear parking sensors, electronically controlled exterior mirror, rear wiper and defogger. For the first time, the Wagon R comes with a 7-inch touch screen infotainment system with Apple CarPlay and Android Auto. This new system also gets voice control and steering mounted controls, which is very convenient while driving. 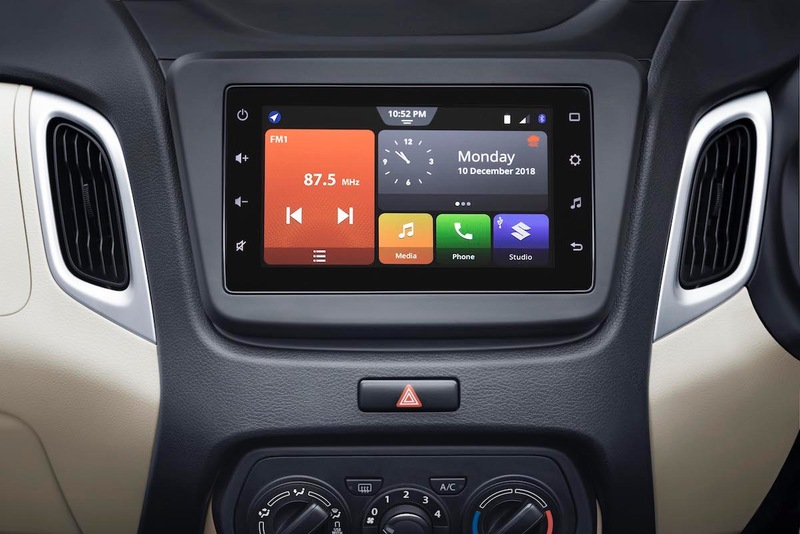 The lower spec model misses out the touch screen system but it comes with SmartPlay tech with Bluetooth connectivity, USB, Aux-in, etc. The new Wagon R measures 3,655 mm length, 1620 mm width and 1675 mm height. When compared to the outgoing model, the company has increased the length and width while height has been reduced. The wheelbase has also increased to 2,435 mm from 2,400 mm. The boot space has been improved considerably as the new model come with 341 litres compared to 180 litres of its predecessor. 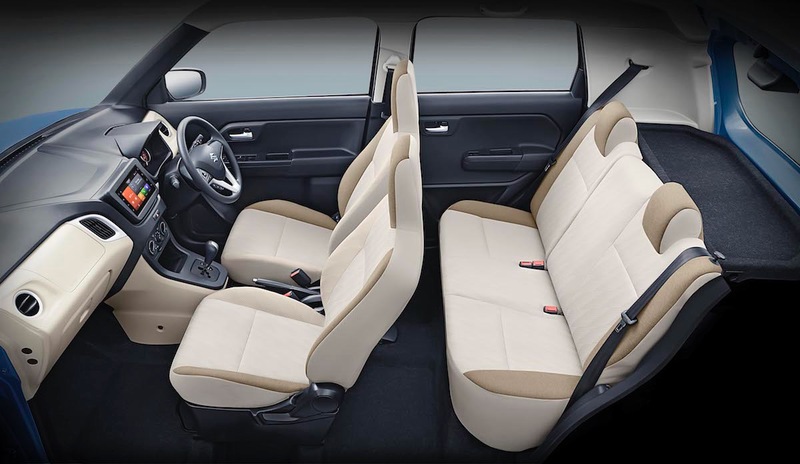 The company has also given 60:40 split folding rear seats, which expand the boot space to 710 litres.